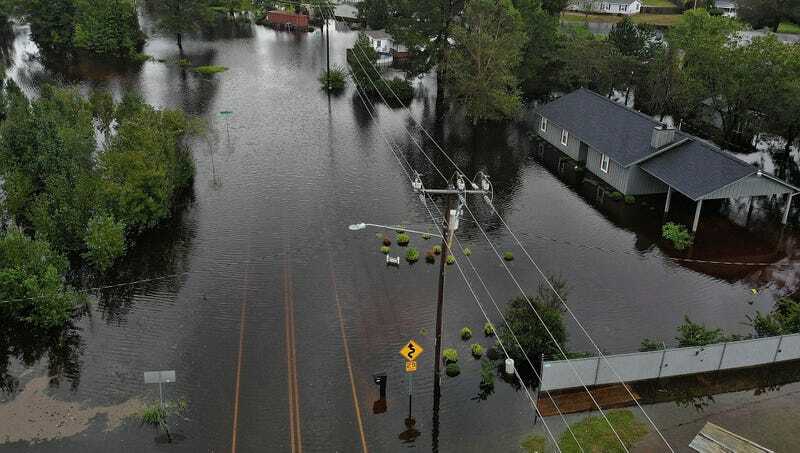 WILMINGTON, NC—In an effort to provide aid to those affected by the devastating weather event, FEMA representatives confirmed Monday the completion of their mission to airdrop emergency cyanide pills for residents stranded by Hurricane Florence. “We’ve spared no expense in making sure the residents of these areas are getting the best help available. If you’re trapped in an area threatened by rising floodwaters, rest assured that your cyanide pills will be arriving as quickly as possible,” said FEMA representative Roy Pelton, explaining that the decision to drop crates full of the lethal poison came after several less successful trial runs of delivering pallets loaded with nooses, razor blades, and guns containing single bullets. “These fast-acting 300-milligram pills have been thoroughly tested for their effectiveness at putting a swift end to all the pain and suffering associated with natural disasters, and we’re doing everything we can to make sure they’re being distributed to all the areas where they’re needed most. We are proud to confirm they can be used by the entire family, including pets.” Pelton admitted the agency learned to deliver the pills in a more timely manner after they arrived too late to mercy-kill the thousands of Puerto Ricans who had already died in the aftermath of Hurricane Maria.